Our Microbiomes Are Making Scientists Question What it Means to Be Human « Adafruit Industries – Makers, hackers, artists, designers and engineers! When you’re young, everyone tells you that you are a unique individual. 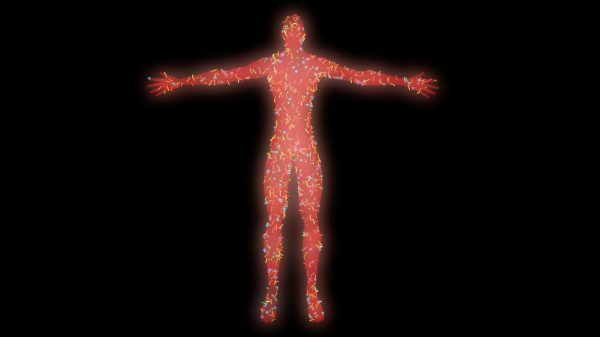 The idea of individuality stretches back centuries, but as we learn more about our bodies, some biologists have suggested that the microorganisms within us mean we’re more like a collection of trillions of organisms than an individual person. It wasn’t until 1695 that when walking through the gardens with a German princess, the philosopher Gottfried Wilhelm Leibniz conceived of the individual. As the storygoes, Princess Sophie said she didn’t think he could find two leaves that were the same. “So they were beginning to pick leaves, and each leaf was different, of course,” Tobias Rees, an anthropology and philosophy professor at McGill University and co-author of the PLOS paper, told me via Skype. Leibniz suggested that every leaf was individual.